Here, it's worth lingering at every stopping-off point. Five places that are part of the same whole but different, five unmissable destinations and a charming little railway line. Cham' is a destination popular the world over. In the streets of this high-mountain town you'll hear languages from every corner of the globe. But the people who come to this 'summit meeting' share the same way of thinking, the same love for mountaineering, its legends and its ethics. When you're out shopping in the town centre, wherever you are look up and you'll see 'it' there… 4,810 metres (15,781 ft) of rock, snow, ice and dreams of things to come. In full view of the Aiguilles rising above the Chamonix Valley, Les Houches, a scattering of hamlets set among deep forests and rolling Alpine meadows, is still the 'sentinel of Mont Blanc'. It's the perfect place to introduce children gently to the high mountains, to the sound of rushing mountain streams. Servoz has long been part of France's mountaineering heritage and is familiar to climbers everywhere. Settled calmly at the foot of the magnificent Fiz Mountains, the village is steeped in authenticity, standing guard over the valley and providing a magnificent vista acrossto its 'big brother', Mont Blanc. Argentière is a village 8 km north of Chamonix at an altitude of around 1,250 metres. 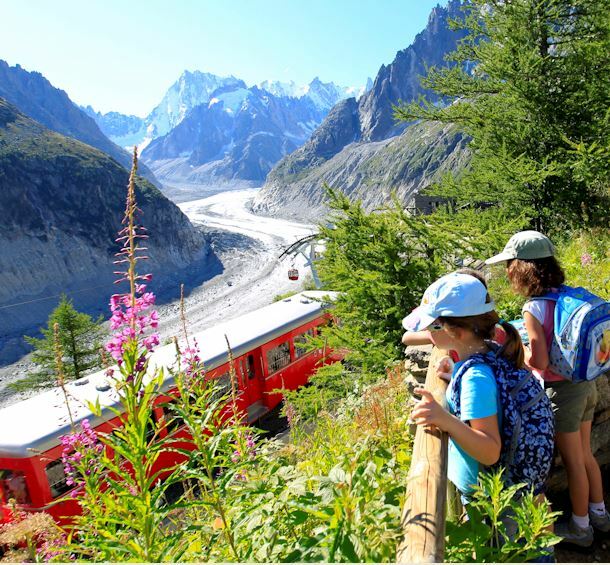 Glacier and legendary peaks such as the Aiguille Verte. Would you love to catch a glimpse of chamois, red squirrels and deer? In Vallorcine you're in their territory. This village near the Swiss border has grown in harmony with the untouched countryside and rich animal and plant life. Here, nature is all around. The perfect place to recharge your batteries.